Catching up… I received some nice gifts in the mail last week just before I left to go out of town. I’m back (and have recuperated from my nasty cold) and have managed to take some photographs. I thought about going to the Maryland Sheep and Wool Festival this year, but didn’t make it. 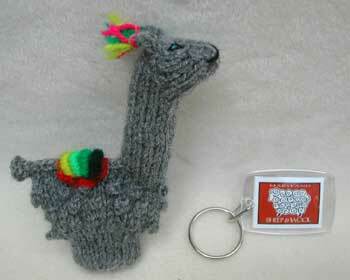 Jess did though, and she was very sweet to send me an alpaca finger puppet (from A Paca Fun Farm) and an MDSW key chain. They’re both very cool and I’m psyched to have the key chain because I love this year’s cover art. Thank you, Jess! 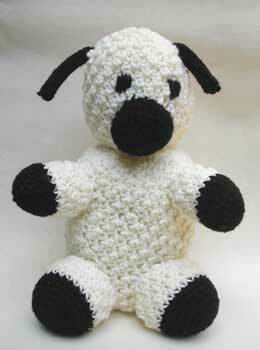 Mary Jo sent this cute stuffed sheep she crocheted herself. He’s a little under a foot tall. I can see a lot of work went into making him and I appreciate it very much. Thank you, Mary Jo! Glad you’re feeling better! That little lamb is sooo cute. I love the little alpaca finger puppet. I went to their site but it doesn’t have anything being sold there but… uh… alpacas. Lol. I don’t think hubby would take too kindly to having one of those in the back yard! ROFL!